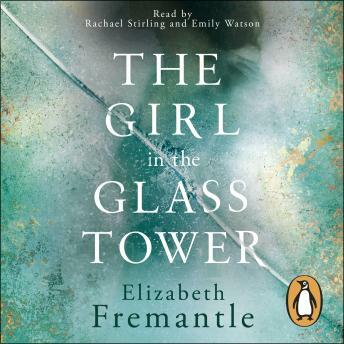 Penguin presents the unabridged, downloadable, audiobook edition of The Girl In The Glass Tower by Elizabeth Fremantle, read by Rachael Stirling and Emily Watson. Fremantle's The Girl in the Glass Tower is a stunning historical thriller set in the chaos leading up to the death of Elizabeth I. Tap. Tap. Tap on the window. Something, someone wanting to be heard. Waiting to be free. Tudor England. The word treason is on everyone's lips. Arbella Stuart, niece to Mary, Queen of Scots and presumed successor to Elizabeth I, has spent her youth behind the towering windows of Hardwick Hall. As presumed successor to the throne, her isolation should mean protection - but those close to the crown are never safe. Aemilia Lanyer - writer and poet - enjoys an independence denied to Arbella. Their paths should never cross. But when Arbella enlists Aemilia's help in a bid for freedom, she risks more than her own future. Ensnared in another woman's desperate schemes, Aemilia must tread carefully or share her terrible fate . . . The Girl in the Glass Tower brilliantly explores what it means to be born a woman in a man's world, where destiny is strictly controlled and the smallest choices may save - or destroy - us.